Hardide Coatings, the advanced surface coatings company, has appointed Robin Gillham as business development manager for its global valve, pump and automotive business. Hardide develops and provides ultra-hard, tough and flexible tungsten carbide-based metal coatings that increase the life of critical parts operating in abrasive, erosive, corrosive and chemically aggressive environments. Gillham joins ex-Praxair UK sales manager Nick King in Hardide�s business development team. King will be responsible for growing the company�s oil and gas, and aerospace sales. Gillham brings 19 years of engineering and technical sales experience. He spent almost ten years as a design engineer with Rover and Land Rover before moving into technical sales with Tomita UK Ltd to supply and support Japanese machine components. 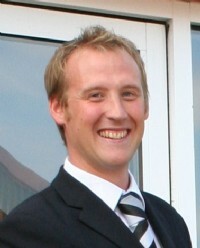 He returns to Hardide having previously worked for the company between 2004 and 2008 as Sales Manager. Graham Hine, chief executive officer of Hardide plc said: �Robin�s technical sales skills together with his understanding of our coatings and applications will be extremely valuable as we focus on growing sales in key markets which include the valve and pump sectors. Hardide Coatings has developed a range of tungsten carbide-based precision coatings which offer an unprecedented combination of ultra-hardness, toughness, low friction and chemical resistance when applied to components made from ferrous and nickel-based alloys. They can coat internal surfaces and complex shapes and offer significant technical and environmental advantages over traditional technologies such as hard chrome and HVOF. Independent testing has shown that Hardide wears out 40 times slower than abrasion resistant AR-500 steel, 12 times slower than hard chrome and four times slower than thermal spray tungsten carbide. The coating is in use by customers around the world in high-wear industries including oil and gas downhole and drilling tools, aerospace, valves, power generation, chemicals and food manufacturing.